Happy Monday! As those in the western hemisphere deal with snow, rain and cold, here is a cute mailbox scene from our friends in the land Down Under! Wherever you may be, I hope you got some good books to enjoy as we slide out of January into February. 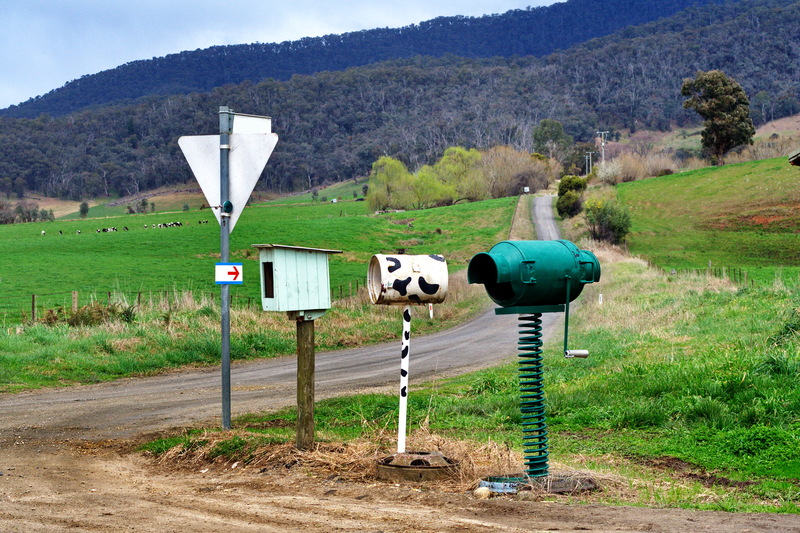 That’s a great pick of mailboxes in the outbacks! Thanks Laura. I thought it was fun too. Cute mailboxes. Way more interesting than the regular ones. Hi Cheryl- I’m glad you snowy people like a warmer look. 🙂 Thanks for commenting. I live in suburban Sydney and my mailbox is a disgrace. Years ago we had a spate of mailbox theft, every time we replaced the mailbox it would get stolen. My husband eventually bought a very unglamorous dark green steel mailbox and nailed it to a big fat post cemented about 2 feet in the ground. They tried to take it but this one wasn’t budging. It is now dented and misshapen but still there. Veronica- Sorry to hear about that trouble which has to be really annoying and distressing. At least your husband found a ‘solid’ solution. Thanks for sharing. Thanks for a non-snow picture of mailboxes. I love that. Serena – I bet you’ll really be glad for a nonsnowy image after the weather this week. Stay warm! You are welcome Elizabeth. Glad you like them and thanks for commenting.